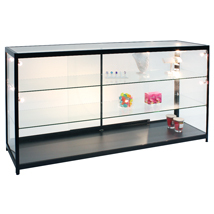 Lighted 3-Shelf Showcase features an elegant black aluminum frame with tempered glass. Sliding glass doors with locks for added security, 2 adjustable glass shelves, 8 halogen lights and adjustable feet and an 8 foot power cord. Switch the included halogen lights with our LED lights, sold separately. Search item 4997. 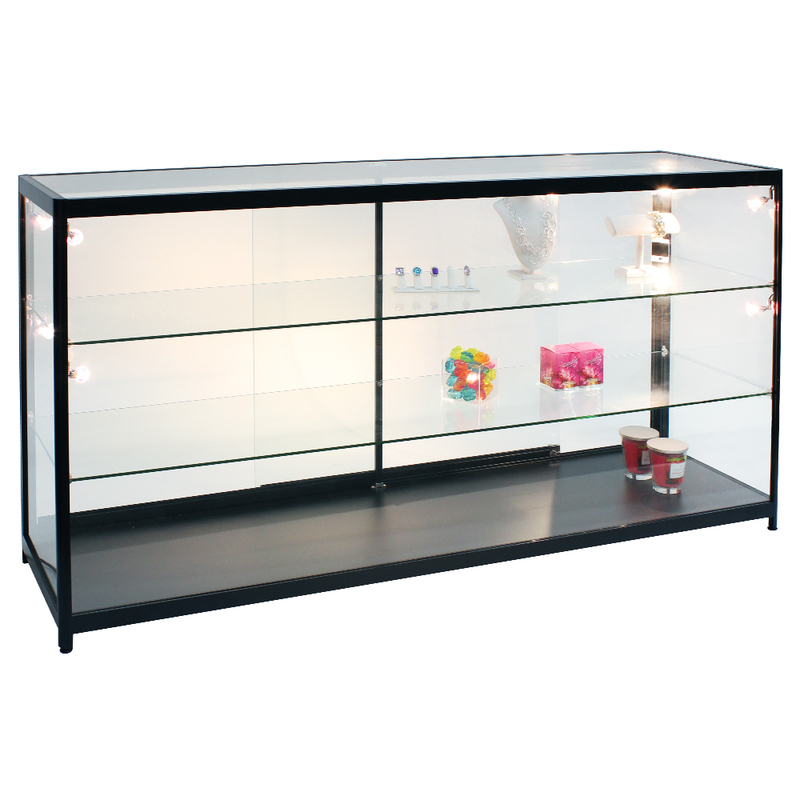 Unit arrives fully assembled, simply plug and display merchandise. Not available for private residence delivery.